Yamaha bikes are certainly taking a toll on the Asian and African countries as this time, CFAO Yamaha Motor Nigeria Limited has revealed a new motorcycles called Crux Rev for the nation’s motorcycle market. 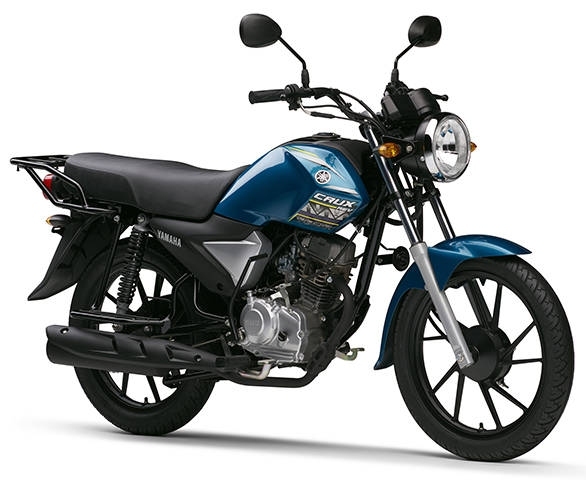 CFAO Yamaha Motor Nigeria Limited is a joint venture between the CFAO Group and Yamaha Motor Corporation of Japan, as noted by the Marketing Manager, Yamaha Motor Nigeria, Funmi Abiola. According to the Managing Director of the CFAO firm, Mr Boye Ajayi, the Yamaha Crux Rev was developed after a series of thorough local surveys from users on their needs and safety requirements. “The Yamaha motorcycle has a number of features that differentiate it from other brands such as the all-new ‘blue core’ engine with excellent fuel economy, unbreakable plastic fender, stronger front-engine guard frame, lightweight with optimum rigidity, strong rear suspension, adjustable, advanced air cooled engine, good ground clearance and strong, long and comfortable seat,” said the company’s Sales Manager, Mr Enifadhe Abugo. The motorcycle is expected to produce great fuel and engine oil economy. “Strengthened by its brand statement, which is, ‘Empowered by Passion for Innovation’, we create exceptional value and experiences that enrich the lives of our customers,” said Abiola.